A decade ago, Ford and Chevrolet owned zero percent of the U.S. subcompact market. In July, the Ford Fiesta was second in the segment and the Chevy Sonic third. Detroit's two biggest brands are suddenly proving themselves in a market they once wrote off to the Japanese: subcompact cars. In a turnabout, Ford and Chevrolet now account for almost a fourth of all subcompact sales in the United States. Small cars are the lifeblood of the Japanese industry, but lately in the entry-level subcompact part of that business Chevrolet and Ford have been making Toyota and Honda look bad. In July, Nissan's Versa led entry-level subcompact cars with 9,007 units sold in the United States. The Ford Fiesta took second place, followed by the Chevrolet Sonic. The Honda Fit and the Toyota Yaris trailed. The top-selling subcompact vehicle, the Kia Soul, is part of a different competitive set, with other sporty, nonentry crossovers such as the Nissan Juke and Scion xB. In response, Japanese automakers plan to bring out a new generation of North America-made small cars selling at lower prices. Competition will be intense, observers say, because the subcompact segment is unlikely to see much growth in market share. "The domestics are getting really, really good at building small vehicles," acknowledges Fred Diaz, U.S. sales and marketing head for Nissan Division, whose Versa still reigns as king of the entry-level segment. "Many years ago, the domestic OEMs couldn't imagine that the Asian imports would be able to come in and be as strong as they were. We don't want to make the same mistake now and turn a blind eye to the domestics." The success is sweet to Ford Motor Co. and General Motors. But to observers such as Tom Libby, head of North American forecasting for R. L. Polk & Co., it is astonishing. "To see a GM brand outselling Toyota and Honda in a small-car segment is a little startling," says Libby, who has been tracking market trends for 35 years. "That's not something that's happened before. "In fact," he adds, "it made me look closer at the sales numbers for the Toyota Yaris. They're so low by comparison that I thought it was a typo." Through July, Chevy sold 50,960 Sonics -- nearly four times the volume for the Yaris. One decade ago, Ford and Chevy's combined sales of subcompacts in the U.S. market equaled zero. Neither bothered with the segment. The mood of the U.S. market then was decidedly SUV and pickup -- in either a large or an extra large. And Ford and GM had that covered. Ford did well with the previous generation of the Fiesta in Europe but chose not to market it in the United States. And GM's big-spending push into small cars -- the Saturn brand -- was running out of steam. Subcompacts -- and even some compacts -- were widely dismissed as econoboxes. "It's a segment that Ford didn't do well in until the launch of the current Fiesta in 2009," acknowledges Erich Merkle, Ford's chief sales analyst. "Subcompacts are a small part of total industry sales, but we decided that it was a very important part of it that we needed to be in. You're getting that first-time buyer who will come back and buy other products from you." Merkle reports that 70 percent of Fiesta buyers are loyal to the brand when they make their next purchase. That frequently involves a step up to a more expensive and larger Ford vehicle, such as the compact Focus or Escape crossover. The Fiesta is even helping Ford crack the import-dominated California market, Merkle says. That is something the domestic industry spent the past decade bemoaning that it was unable to do. Small-car success and California go hand in hand, Merkle says. "If you're going to be successful in small cars, you're going to have to go through the California market," he says. In 2009, Ford held a meager 2.8 percent share of California's combined market for the subcompact and compact segments. Thanks to the Fiesta, Ford now holds 8 percent of it, he says. The cars got better, says Jeff Schuster, senior vice president of Detroit forecasting firm LMC Automotive. "Small cars are no longer econoboxes," he says. "They have good styling and good technology. Things have changed. Ford and GM have proved that they now know how to build these cars and make money at it." But even as the two Detroit rivals are toasting their mutual success, competitive challenges are taking shape. Honda and Toyota are both taking steps to correct their lackluster performance in subcompacts. So is the segment leader, Nissan, says Christopher Hopson, manager of North American sales forecasts at IHS Automotive. American Honda Motor Co. has been relying on a Fit that is imported from Japan and burdened for the past few years by abnormally strong yen values. The Fit has a base price of $16,215, including shipping, compared with $14,795 for the Fiesta and $14,995 for the Sonic. But next year, Honda Motor Co. will open a factory in Mexico that will supply U.S. retailers, with a capacity of 200,000 cars a year. That will help make Honda more competitive in pricing and equipping the Fit, Hopson says. So far this year, Honda has sold 30,588 Fits in the United States, compared with the 50,960 Sonics and 45,831 Fiestas. The Versa leads the segment with 72,768 units sold. Toyota Motor Sales U.S.A. has faced the same challenge with the Japan-built Yaris, which has a base price of $15,225, including shipping. But starting next year, Toyota Motor Corp. will try shipping the subcompact to U.S. dealers from a factory in France. Mazda Motor Corp. also hopes that a change in factory sourcing will make its subcompact Mazda2 more competitive against Detroit. Mazda will open a plant in Salamanca, Mexico, next March to supply small cars to U.S. dealers and other markets. That venture has since attracted Toyota. As if to acknowledge that its plan to get the Yaris from France will not go far enough, Toyota revealed late last year that it, too, will obtain a Mexico-built subcompact from Mazda's plant, based on the Mazda2 and arriving in 2015. At the same time, Nissan is making a play to widen its lead in the subcompact segment by turning its one Versa nameplate into two. The Versa has been helped in leading the segment by a low price -- it starts at just $12,780, including shipping. This summer, Nissan dealers have begun receiving the newly designed Versa Note hatchback, priced $2,000 higher than the sedan. In the past, the Versa hatchback and sedan were largely marketed as different flavors of the same car. With the introduction of the Note, Nissan hopes to attract two different subcompact customers -- one who is buying an entry-level sedan for economic reasons and another who is buying a sporty small hatchback for lifestyle reasons. But Ford is on the same wavelength. For 2014, Ford will begin offering a 1.6-liter engine Fiesta, a 1.0-liter Fiesta with EcoBoost engine technology for fuel-efficiency-minded shoppers and a Fiesta ST for performance-leaning consumers. 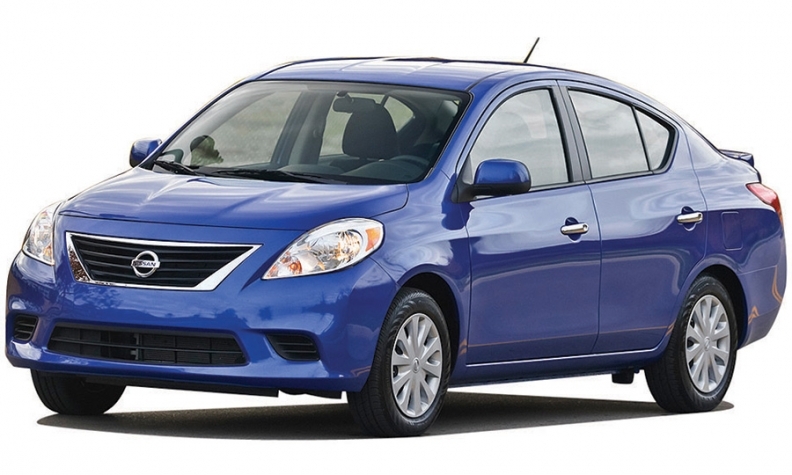 The Nissan Versa leads the U.S. subcompact car segment with 72,768 units sold through July. Its low price helps. But despite such competitive zeal, it is not certain how many more small-car sales will result. 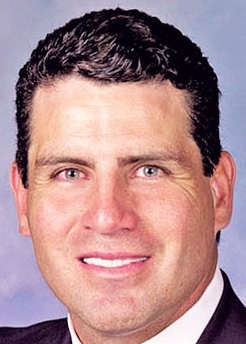 Larry Dominique, president of ALG, the vehicle value-forecasting service, believes the enthusiasm for small-car sales is a bit overstated. ALG notes that residual values for subcompacts will rise. But that is a reflection of them being better products than they were a few years ago and because the demand for used subcompacts is, as a result, now dependable, Dominique says. It is not because ALG believes the segment will grow. "The subcompact segment as a share of total sales has been flat for 10 years," he says. "And yet it has increased from seven models to 10, by our count. The newer models are doing well -- and that includes the Fiesta and the Sonic. But the new models are simply taking sales away from older ones. The segment isn't really gaining share." ALG's forecast is that the subcompact class will barely grow over the next few years -- from about 4 percent of total sales today to around just 5 percent in 2016. Equally challenging is that subcompacts are in danger of losing their ability to turn consumers' heads with fuel economy results. As Dominique explains, all segments are delivering head-turning gains in fuel efficiency. "The Honda Accord, the Nissan Pathfinder, even big pickups -- consumers are seeing improved fuel economy all over the industry," he says. "There's really only 1 or 2 miles per gallon difference between a subcompact and the new compacts. So maybe I'm going to think twice now about giving up the roominess of one car to move down to a subcompact." But that doesn't mean the newly ordered subcompact segment will lose share, LMC's Schuster says. "There are too many reasons why people are looking at small cars now," he says. "Gas price volatility, better products, more choices, the lingering memory of the financial crisis in many consumers' minds. Subcompacts are here to stay." Does that necessarily mean that the two Detroit giants will expand their newfound position there -- or even hang on to the success they're seeing? "We expect to see some ebbs and flows in market share within the segment," Schuster says. 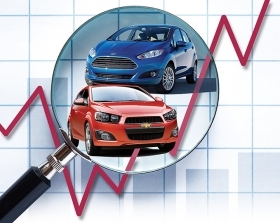 "Chevy and Ford aren't going to let go of a segment where they're doing well now. "But how well they do in the next few years will come down to who has the newest and best product. And their competitors are all coming out with new models. We'll have to see how much effort they put into the next-generation Fiesta and the next-generation Sonic."